An Australian cardiologist has achieved what could prove a major breakthrough in treating heart disease, after working with US scientists to use human stem cells to regenerate the damaged hearts of monkeys. A proof-of-principle study, published in Nature, showed that human embryonic stem cells boosted heart regeneration when transplanted into injured macaque hearts. The findings represent the first time that scientists have been able to grow stem cell-derived heart muscle at a scale to treat large animals. The study was also successful in showing that the transplanted cells worked in tandem, rather than against, host tissue. Previous work has shown that the human cardiac stem cells, known as cardiomyocytes, could be used on rodents. But the breakthrough with the macaque monkeys shows it could be feasible to use the same treatment in humans, albeit after several more years of research. More than 20,000 Australians die from heart failure each year. Dr James Chong, a cardiologist at the Westmead Hospital and Sydney University lecturer, authored the research paper in collaboration with a University of Washington team, led by Charles Murry. The researchers induced a heart attack in eight macaque monkeys by impeding the blood flow into the organ. Two weeks later, the stem cells were injected into the heart. Over a period of three months, the hearts were shown to have regenerated dead tissue by up to 40% and achieved electromechanical coupling with the original host heart. 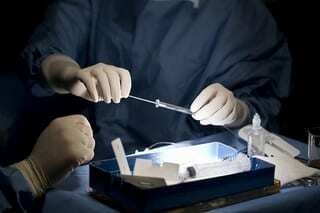 However, it’s unclear from the study whether a full recovery would be possible via stem cell treatment. April 17, 2019 - Stress Tied to Heart Disease, Especially in People Under 50 The New York TimesSomeone with a stress disorder was 37 percent more likely to develop cardiovascular disease than those in the general population. April 18, 2019 - Heart Disease Topped Reasons for Excess Deaths in Puerto Rico After Hurricane Maria AJMC.com Managed Markets NetworkHeart disease was the number one reason for “excess deaths” after Hurricane Maria struck Puerto Rico in September 2017.